The era of employers avoiding public consequences for disparate treatment of women and minorities in the workplace is over. Employers that neglect internal issues on gender face severe legal and reputational risk in the age of #MeToo and Time’s Up. Reflecting the rise of these empowerment movements, a patchwork of state-level equal pay laws has been signed into law in the past few years. These laws benefit employee claimants by making it easier to sue for a disparity in pay. To avoid liability and damaging press, employers must act proactively — routinely auditing their pay practices and adjusting pay to eliminate gender- and other minority-based pay differentials. Aggressive laws coupled with an activated employee base will punish employers that do not get ahead of the curve. Conceptually, all equal pay laws require employee-claimants to satisfy two criteria to make out a prima facie case. First, there must be a disparity in pay between the claimant, which belongs to one or more protected classes (e.g., gender or ethnicity), and the compared employee, which does not belong to that same class. Second, the claimant and the compared employee must have jobs deemed comparable under law (e.g., “equal” or “substantially similar” work). The federal equal pay law, in effect since 1963, prohibits a differential in pay between employees on the basis of gender for employees doing equal work. Under the “equal work” standard, courts take a strict approach, effectively requiring employees to have the same title to make out a prima facie case. New state laws, such as those in New York, California, Massachusetts, and New Jersey, make it easier for an employee-claimant to make out a prima facie case. Take for example the California Fair Pay Act, which came into force at the start of 2016. 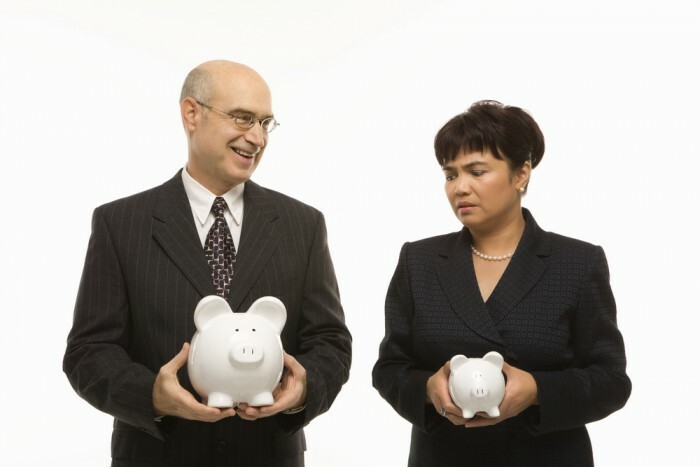 Under this law, pay differentials are prohibited between employees of different sexes, races, and/or ethnicities doing substantially similar work. Under the “substantially similar work” standard, courts look past employees’ titles and into their individual responsibilities to determine whether employees are performing substantially similar work. The pay equity minefield is no longer merely a theoretical concern. 2018 alone has seen a steady flow of pay equity activity against large employers. In March, Uber agreed to pay $10 million to settle a pay equity suit brought on behalf of 420 female and minority employees. Later in March, a federal judge certified a class of 2,300 women alleging discrimination in pay, promotions, and performance reviews against Goldman Sachs. In April, a group of female former Google employees succeeded in achieving class certification for their pay equity claims under the new California law. The pace of these lawsuits should create serious concerns, particularly for large and position-diverse employers. Employers should proactively audit their pay practices across their workforce and look beyond their employees’ titles to identify comparable employees, much the same way that a court would. Once a potentially problematic employee comparison is discovered, employers can elevate individual pay to eliminate the disparity. A separate “equity budget” can be set aside with an eye to remedying any disparities. Alternatively, an employer can rely on an affirmative defense to justify the differential, but the existence of an affirmative defense does not prevent a lawsuit when there is an unlawful pay disparity. Limiting compliance risk is critical and belongs on every large employer’s radar. However, companies typically accrue other benefits when their workplace is diverse and treated fairly. Diverse workplaces enjoy a wider variety of skills and experience that can lead to innovative business outcomes. An overtly inclusive employer attracts a wider talent pool and aids retention, as employees that feel comfortable in their workplace are more likely to stay.